Wise the Bap was established in 2004 to offer adults from local communities in North Down access to the arts: to learn new skills, develop talents and confidence, and to express their views about issues of relevance or importance to them through a variety of art media, and all in a safe and comfortable environment. Participants will create a portfolio of their individual art work as well as having the opportunity to contribute to group projects. 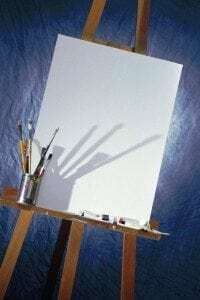 Classes are usually, but not always, led by an experienced artist and are typically themed around health or social issues, giving focus to the work. No artistic flair or experience needed. Restful, relaxing and great fun! Write Club is for anyone who wants to try their hand at writing. These are active workshops where participants have the opportunity to experiment with different techniques and styles of writing. The sessions are very informal, relaxed and therapeutic, although they are not offered as a ‘therapy’. Each week participants are set a challenge to create a new piece of writing but there are no tests, no exams, no criticisms and no pressure. But lots of fun! Not sure? Try it and see. Not a class, not a workshop, not a project but a chance to have a coffee and a chat while you chill-out and make your own art. Bring your own materials and draw, paint, print or write – whatever the moods takes you. Art is very relaxing and stress relieving and promotes mental wellbeing. You’d be daft not to do it. The gatherings run on a Friday afternoon between 1.00 and 3.00pm but you can arrive and leave as you wish between those times. Ever fancied making your own musical instruments. Ever made some and willing to show others how to? This is an experiment in making musical instruments and to have a bit of fun. It is very much a Do It Yourself approach so be inventive, creative and go for it.